Ekornes, as a company, has made a committment to helping you be healthy and comfortable. They have also made another committment to helping the environment be healthy and comfortable. It is very important that companies not only strive to take care of their customers but also their planet. Ekornes has long understood that manufacturing, distribution, processing, and collecting products impacts the environment around them and around us. They make an intentional effort in every step to ensure they are using the latest, and best practices to minimize environmental impact. They truly are a "responsible supplier". One intention of making such fine furniture and making it last so long is to reduce waste and repetition. Ekornes shall be perceived as an environment-friendly company. Our products shall have as little impact as possible on the environment. Ekornes aims to minimise the health risk experienced by employees in the workplace. 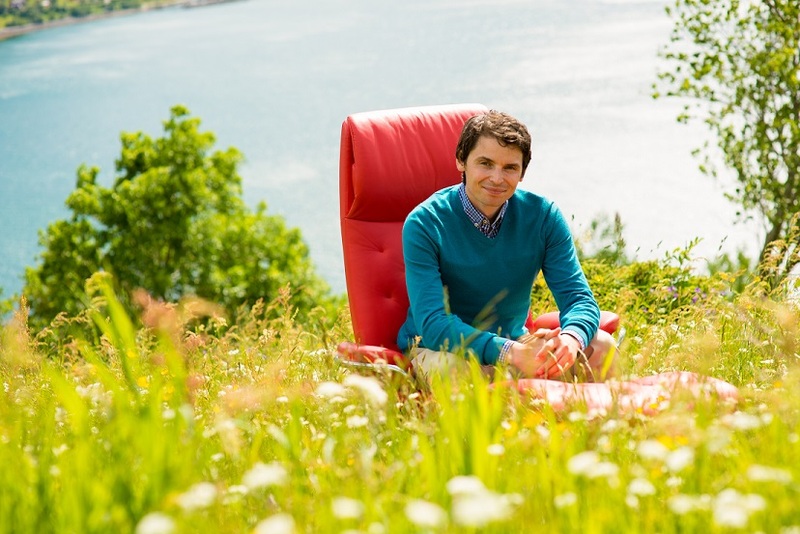 Ekornes invests to avoid damage to the environment and to health. Ekornes shall accurately and openly publish information about how the company handles its environmental responsibility. Ekornes chooses to use only the most environment-friendly types of glue available. All stains and varnishes for the woods are water-based products. This reduces any dependence on petroleum products. A general replacement program is underway, and will be implemented as soon as practically possible. The change has a significant environmental potential. Stressless® complies with the highest high fire safety requirements in the world. The British Standard BS5852 tk. 5 has the toughest requirements for home furnishings worldwide. Stressless® meets these requirements. The use of industrial robots and more environment-friendly welding gases, has made any welding more environmentally responsible and results in an improved working environment. Ekornes has facilities for water-based, biological degreasing of steel components. Ekornes does not use textiles with bromided or halogenated flame retardants in its collection. Ekornes does not use PVC, in its upholstery or plastic components. All cardboard and plastic materials used for packaging are completely recyclable and meet the requirements of the environmental certification label Svanen. Ekornes solely uses water rather than CFC gases as a blowing agent in the production of their foamed plastic. This alternative that has a smaller environmental impact. The colored paste which Ekornes uses to dye various qualities of foamed plastic is considered to be less damaging to the environment than the alternatives. This means that it does not contain azo colorants, nonylphenol or heavy metals which can damage the environment. Only pure water is used as a flushing agent when block molding polyurethane foam. Molded foam from Ekornes does not contain any harmful substances, such as bromided or halogenated flame retardants, triethylamine or organic tin compounds. All offcuts and scraps from foam and plastic production are recycled, either in the production of new products or by being sold to producers of carpet underlays. All Ekornes’s products have a long lifespan, given the right maintenance. This means that the annual environmental impact is low. A substantial proportion of the products transported to market are carried by ship directly from the factory’s own wharf. Ekornes does not use rainforest timber or other endangered wood species in its manufacturing. Heat pumps (1,500 kW), based on seawater, have been installed at the production facilities in Ikornnes. All air vented from the plants pass through heat exchangers to recover the energy contained in the heated air. Woodchips or pellets are the sole source of heating at several of our plants. All woodchips from our own wood processing are used internally for heating or in pellets production. Ekornes has helped to establish a pellets production facility, based on woodchips and wood waste from manufacturing companies. Our plants sort their waste at source, and have effective schemes for handling hazardous waste. Leather offcuts are sold abroad and used in the manufacture of various small items. This has been a very commonly discussed topic. Customers, friends, employees, and others all enjoy knowing that not only are they sitting comfortably but also that the manufacturer was environmentally responsible. If you have further questions about this topic, we recommend visiting Ekornes' offical site here: Environmental and Social Responsiblity. Also, please don't hesitate to drop us a line at 888-486-9463 or use the "Ask an Expert" contact form. We would be glad to hear from you.